I know you’re thinking about the Chia Pet/Chia Head thing and laughing at me right now. And you’re not entirely wrong. It’s the same seed, but this time we’re eating it. Don’t run away — it’s worth it. 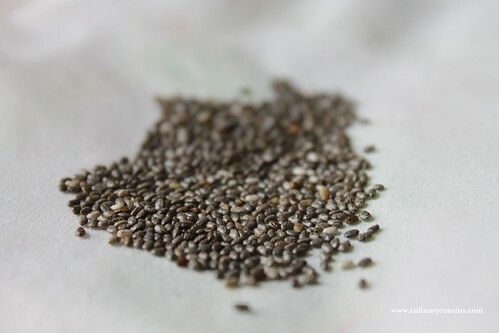 They may be slightly hard to find, but I’m pretty sure chia seeds will be stocked in most health food stores and specialty grocers like Trader Joe’s, EarthFare and Whole Foods. Mine were in the nuts/dried fruits section at TJ’s. Chia seeds are also delicious. You can sprinkle them over foods, like oatmeal and yogurt, or grind them in smoothies to get the same health effects. 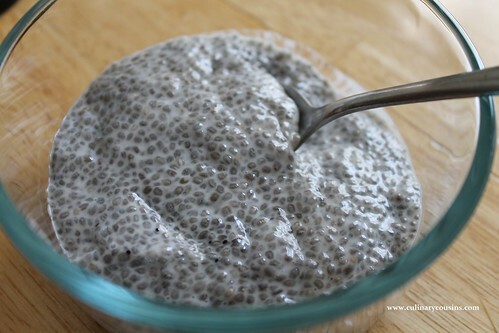 Or you can make chia seed pudding. Those of you with food texture issues may not love this route, since the seeds sit and soak in the creamy milky substance of your choice. The result is a sweet, slightly crunchy, grayish gel that to me resembles tapioca pudding. Wow, I really made that sound appetizing, huh? But if you can get over what it looks like, it’s amazing. I mixed my chia with coconut milk and maple syrup, but you could use any milk or sweetener you wish. First, measure out the seeds and mix them with the milk. Stir together so that the seeds don’t clump. Add the maple syrup and vanilla. Cover and refrigerate for at least two hours or overnight. I like to serve mine with sliced bananas, but you could top with blueberries or other fruit of your choice. Even an extra honey drizzle. This is such a simple recipe that you can play around and make it your own. You can also add chocolate, which sounds delicious. Check out Elisa’s Dark Chocolate Chia Seed Pudding. I can’t wait to try that! *This makes two servings. I’ve halved it with great results, and you could probably also double it for breakfast on hand all week. Sounds icky, but I like Tapioca so maybe not? Gray is a tough food color though. It reminds me of the Matrix. Do you remember that oatmeal/grayish food they ate? Not icky! Just gray, and sweet and yummy. If you like tapioca, you’ll be fine. 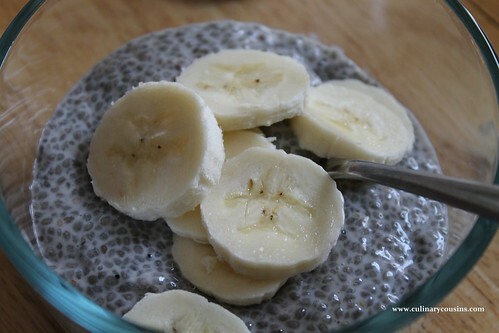 I’m addicted to chia seed pudding too! I have a small portion every night for a healthy dessert – in fact, I just finished today’s batch. So glad you are a fellow convert! 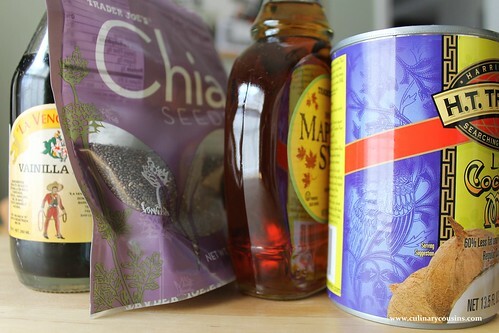 In fact, everyone I know who’s tried chia seeds is obsessed! They’re little and strange but so, so addictive. I am so excited to try this! Just made it so I can enjoy it in the morning. Thanks! Your life may never be the same again. Whitney, I can’t wait to try this recipe! Thanks do sharing! I have the chia seeds, just have to get the milk and vanilla tomorrow. BTW I love your blogging style ( both here and at South and Sundry)! Aw, thanks, K! So nice of you to visit! Best of luck with the chia — I can’t wait to hear how you like it. One bit of advice: buy lite coconut milk. It’s healthier, and I think regular coconut milk is a bit too creamy for this.